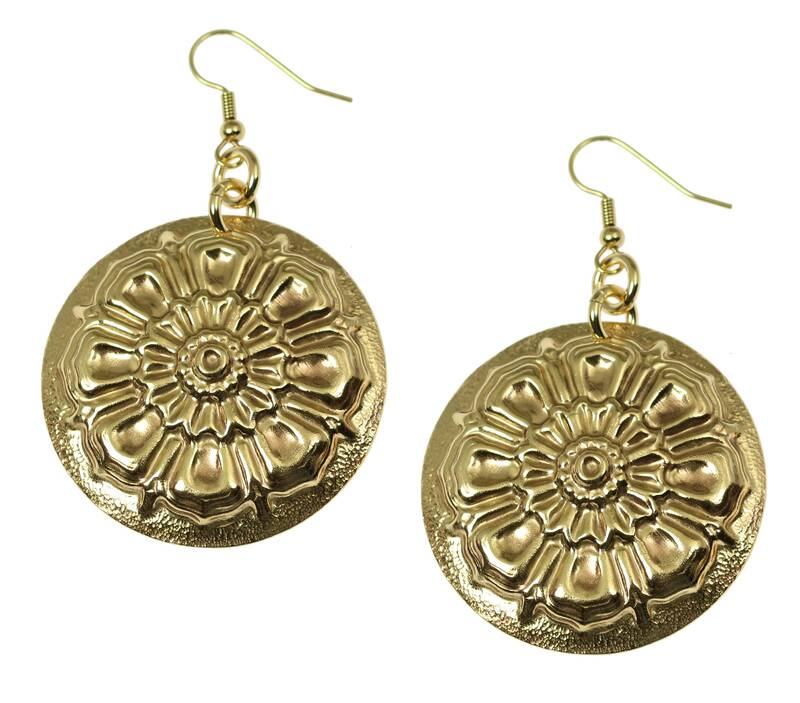 Bring iconic Victorian-style fashion into your day-to-day life with these beautiful Victorian Button Nu Gold Disc Earrings. The earrings feature ornate details that are molded into circular shapes, and they are finished by hand to make them into something that is truly one of a kind. The disc earrings are fashioned out of durable Nu Gold Brass that is naturally resistant to rust and corrosion, while the polymer coating goes one step further to prevent tarnishing. 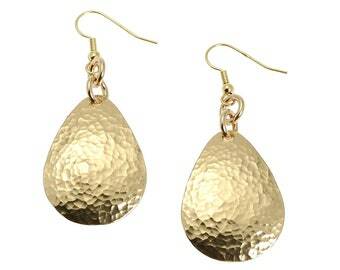 The ear wires of the jewelry are plated with 14 karat gold and are 2 1/2 inches long by 1 1/2 inches wide. • Measures approximately 2 1/2 inches in Length x 1 1/2 inches in Width. • 14K Gold-plated French Earwires, for pierced ears only.